Julio Urias, Corey Seager headline list of Dodgers’ 17 non-roster invitees to spring training. 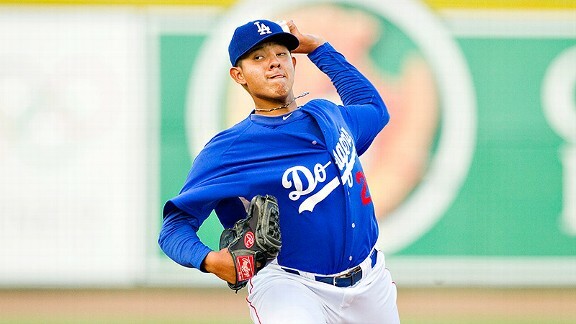 Eighteen-year-old pitching prospect Julio Urias has earned a non-roster invitation to the Dodgers’ 2015 spring training camp. He and top shortstop prospect Corey Seager headline a list of 17 non-roster invitees to the Dodgers’ spring training camp announced Friday. Shortstop Erisbel Arruebarrena, who was designated for assignment nine days ago with four years remaining on his $25 million contract, is also in that group.